Klayman Discusses His Possible Appointment as Special Counsel to Prosecute Hillary! JOHN BACHMAN, HOST: I want to bring in Larry Klayman. He's going to be with us in just a second to talk about new details that have just come forth from NBC News as it pertains to the Uranium One deal. Welcome, Larry Klayman. Good to see you. I know you were going to be doing an interview with Miranda. I'm just stepping in here real quick. I want to get a quick take. We have about two minutes left before we go to commercial break. These new developments about Uranium One and the investigation into that. The New York Times had reported that the Russians assumed control of the Uranium One facility. That the chairman had used for his family foundation and that included some donations to the Clinton Foundation. So what's your take on these new revelations, Larry, in the Uranium One deal? LARRY KLAYMAN: Well they are serious. We know what it was about. These new revelations are just icing on the cake as to why there needs to be new special counsel, John. The reality is that the [Obama] administration overlooked this thing, buried this investigation under FBI director James Comey. Hundreds of millions of dollars of what in effect were bribes were going into the Clinton Foundation. Mrs. Clinton was Secretary of State. And she sat on top of the committee, the governing committee, that greased the sale of 20 percent of America's uranium reserves to the Russians. This is very serious. There should be an independent counsel. And NBC, of course, reported that now the Justice Department is looking at it internally. I don't have any confidence that this attorney general will go forward with any kind of grand jury or indictment. He should appoint a special counsel. If it's good for President Trump, and really that's a bogus investigation, it certainly is more true for Hillary Clinton, Bill Clinton, and their foundation. I don't think there's a lot of confidence, Larry, quite frankly, in these types of investigations from the American public. Whether it needs to happen or not, is it really worth it to go back in time, I think, since Hillary Clinton lost, is there really the appetite from the American public to go to the bottom of this? KLAYMAN: Let me toot my own horn a little bit here. 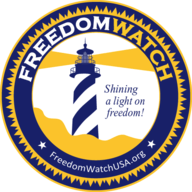 I have a petition up at our website at FreedomWatchUSA.org to urge my appointment as special counsel. I would keep it quick. We'd get it done and it wouldn't cost the taxpayers tens of millions of dollars. HOST: Larry Klayman special counsel. Maybe you could do a better job than Bob Mueller, some people might say. Larry, thanks for joining us. Sorry to keep it short, but we'll be back for this.